The color changes and the beautiful texture, make this blanket so interesting and unique! 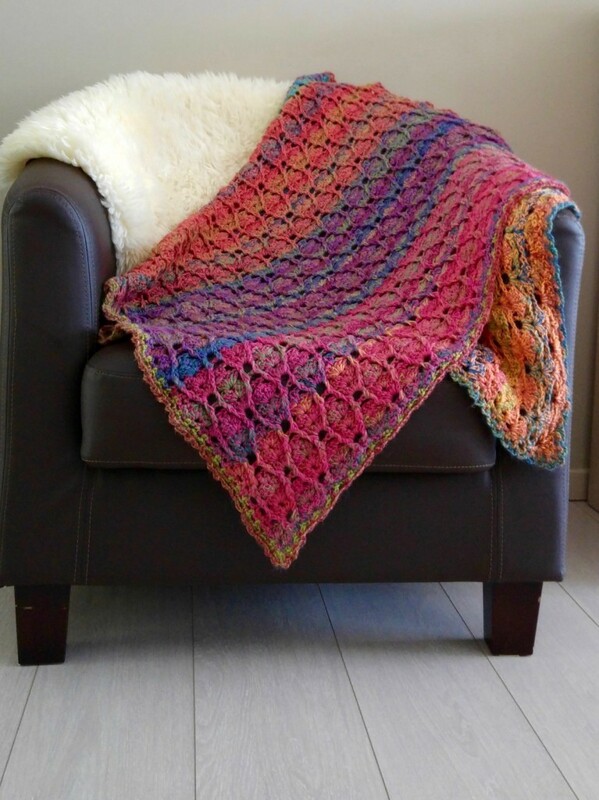 Simply called: Baby Blanket Full Of Colours, this beautiful blanket pattern designed by Annelies Baes (Vicarno), is worked with 2 strands together : 1 thread of Catona and 1 thread of Invicta Colour which gives this baby blanket the stunning effect. The measurements of the finished blanket are 90 cm wide and 140 cm long / 36 ” wide and 56 “” high, however size of the blanket is easy to adjust. This blanket is so much fun to make, don’t you think? Thanks to Annelies Baes for the article inspiration and featured image.